I love the way Annie Dillard whimsically confronts the paradox of what we often refer to as "acts of God." RING OF TRUTH. 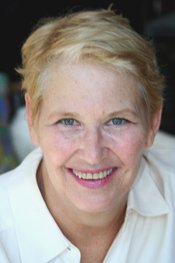 Because of her marvelous imagery and meandering, non-linear manner, it is hard to find sound bytes that do Annie Dillard justice. She is always noticing, studying, reflecting, connecting, and moving on without having tied things down for the reader. She opens your mind and heart and touches resistant places but does not bring easy closure to such exposure. Her writing has the ring of truth without impaling or domesticating it. The following snippet is a three-second lap from a gushing 200-page fire hydrant titled For the Time Being (1999, Knopf). Pay close attention to her very last sentence. Very interesting.